Victrix Armaments, an Italian company, has developed new technology that could be a major “game-changer” in the world of precision rifles in general, and F-Class in particular. Victrix’s leadership group knows all about excellence — and winning. Giuseppe Valtorta, CEO of Victrix Armaments, is a top competitive shooter who won Gold with his F-TR rifle at the 2015 European F-Class Championships. Benchrest however is beginning to gather momentum. Accuracy seekers are demanding the ultimate in precision engineering. They will go to their favorite gunsmith and, if they’re very lucky, procure one of the new custom actions from Hart or Shilen. In the last 50 years, what’s changed? Benchrest is still with us but F-Class has emerged as a world discipline and, to some extent, brought new challenges to our accuracy rifle builders. But, whilst the rest of the planet has reveled in the speed and precision of CNC machining, we still love to place our faith in the gunsmith and his trusty old lathe! But, of course, there is a reason for this. CNC equipment is expensive and geared towards the rapid multiple production of precision parts, whereas the custom gunsmith is dedicated to the ‘one-off’ build. Also, even with a limited run, CNC does not readily lend itself to chambering our cut- or button-rifled barrels. Good as our barrels are, there are issues that have made CNC machine problematic. Each barrel demands loving care at the hands of our chosen gunsmith – if it is to perform to our expectations. What if — What if the whole barrel-fitting and chambering process could be made “CNC compliant” and produce a rifle which would equal (or even exceed) the accepted standard. And do it every time, time after time! Cost could be reduced and also waiting times. Good as our custom barrels are, they still need to be scrupulously checked — for uniformity of the bore, the lands, the grooves — for straightness, consistency of diameter, and concentricity. This could be achieved, using some pretty sophisticated measuring equipment — but that would be outside the realms of the custom gunsmith. Even then, how could the barrel be easily accommodated in a CNC five-axis machining center to ensure a set-up for the best possible chamber and threading? Remember, bores are rarely concentric to the outside diameter and seldom straight, so the set-up would need to ensure that any deviation would be in the vertical plane when the barrel is screwed in the action and the chamber-section would need to be exactly aligned. These are of course the issues faced every day by the custom gunsmith but currently, there are few CNC machines which could easily accommodate this requirement. But yes, there are a few…. 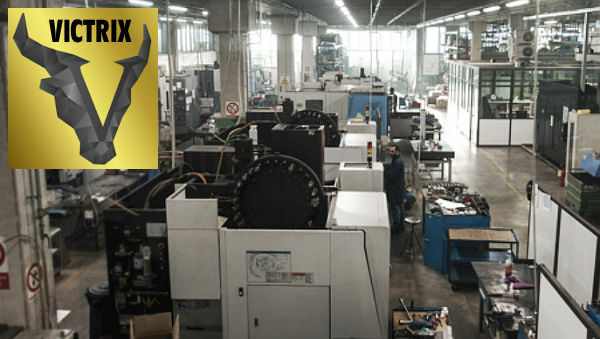 Let me introduce you to Victrix, an Italian engineering company with an impressive multi-million euro factory crammed with the very latest in CNC machinery and a state of the art measuring laboratory. They already have a well-established background in the firearms manufacturing industry, at both military and sporting level. Never heard of Victrix? You soon will, for Victrix has chosen the prestigious 2016 IWA Show (Hall 9 – 423) to launch its new range of high-end rifles. Whilst Victrix initially developed a range of tactical/military firearms — some of which will also be of interest to the sport shooter — the company has now turned its attention to the F-Class discipline. By working with those competing at the highest level of F-Class competition, Victrix has developed a range of “off the shelf” F-Class rifles that are “competition-ready” right out of the box. Incidentally, Victrix have chosen American barrel-maker Benchmark as its exclusive barrel supplier. Victrix has already perfected a way of accurately assessing barrels to adapt them to CNC working, and this is the key to the new project. Victrix F-Class rifles will feature an advanced, new target trigger engineered by Victrix. 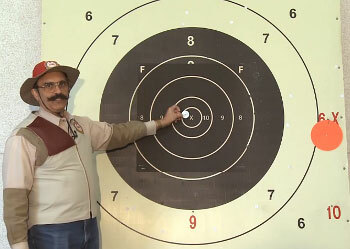 This four-lever target trigger boasts an adjustment range of 1 to 2.5 ounces (30 – 70 grams). Another trigger (8 to 21 ounces pull weight), is used for the Victrix tactical rifles. For its new line of rifles, Victrix have developed its own proprietary actions. These actions employ some interesting ideas. The bolt is three-lug with a 60-degree lift and 105/105/150 degree lug-geometry. Testing verified that this arrangement provided a greater resistance to flexing in the locked position over the more traditional 120/120/120 geometry. This geometry also aids the pick-up and feeding of rounds from a magazine when used in a tactical configuration. Above is Victrix’s new action. It’s impressive. Multiple configurations are offered: Right Bolt/Left Port, Right Bolt/Right Port and other variations. The action can be fitted with Victrix Target or Tactical trigger. The action and bolt are machined from 17.4PH stainless steel and then hardened (body 48 Rockwell, bolt 45 Rockwell) and treated with PVD (physical vapor deposition). Finally the actions are coated with chromium nitride and nobium for wear-resistance and smooth operation. Tenon thread is M27x1.5 and of course, tolerances are ‘benchrest’ standard. Picatinny rails are screwed and pinned to the action. Victrix has certainly done its homework. The company will offer rifles for both F-Open and F-TR classes. Stocks will be offered in a variety of materials: wood, wood-laminate, aluminum, and carbon-fiber. 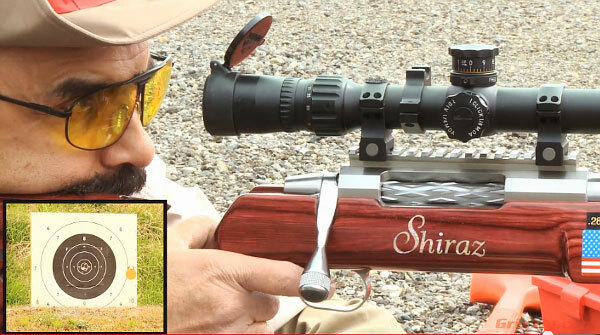 The stocks share a no-nonsense, straight-forward design, specifically for shooting a rested rifle. Whilst we are focusing on their F-Class rifles, we shouldn’t forget the Victrix tactical range. Although designed with military and police use, they will appeal to anyone who enjoys tactical-style shooting. There is no compromise on quality or accuracy so, expect the same build standard but with stocks CNC’d from 7075 mil-spec aluminum with a hard-anodized coating. 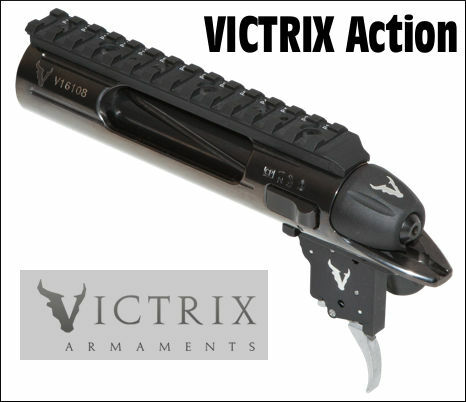 The Victrix three-lever tactical trigger adjusts from 8 to 21 ounces (250 – 600 grams). 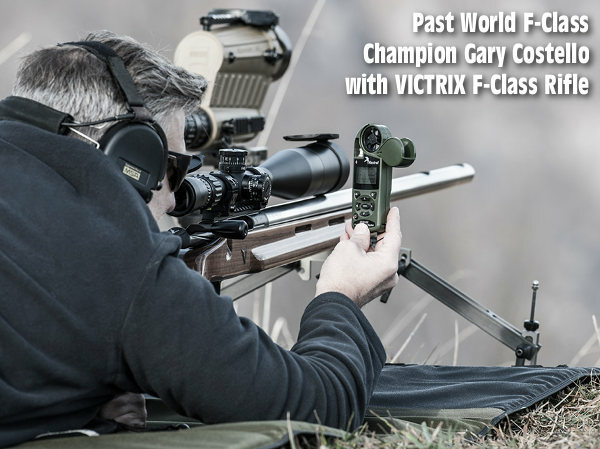 Victrix has chosen March Scopes UK (IWA Hall 3A – 110) as its business partner in launching the new Victrix F-Class rifles. This was a wise choice, as March Scopes UK proprietor Gary Costello is a former World F-Class Champion. 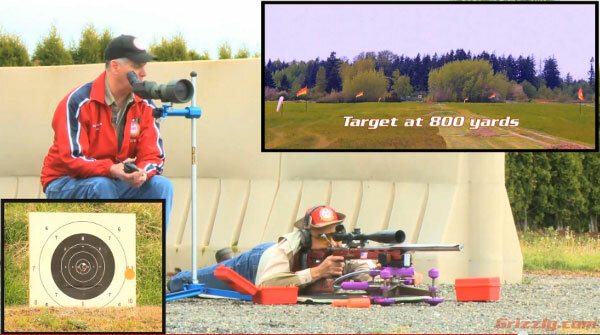 Gary, well-known to F-Class competitors, continues to shoot with the Great Britain Team. We look forward to taking a closer look at the Victrix F-Class rifles and hope to provide an in-depth range report in the not-too-distant future. Check out the Victrix website at www.Victrixarmaments.com. Share the post "Victrix Armaments Rifles with Advanced 5-Axis CNC Technology"